24V / 300W Truck Oven. cigarette plug and approx 1m of cable for ease of use. STAINLESS STEEL. Stainless Steel housing. Simple plug and play application. Weight: 3.785kg (approx). The carpet is removable and washable. The left hand drive truck option available on request (2-3 weeks). Truck Table. Grab Handle Wrap. Steering Wheel Covers. VAN/BUS TABLE. Full set of Curtains. Very easy to install. Front decoration/sign/badge for All Series SCANIA Trucks. For sale is Unique Polished Stainless Steel Accessory. Made of polished stainless steel with strong self-adhesive backing. Interior Led Light / LEST WE FORGET Truck 24v. Now supplied with 12 Tachograph Envelopes Free! Now supplied with 12 Tachograph Envelopes Free! 2X DAF LOGO OLD SCHOOL STICKER IN MATTEFINISH decals as pictured Precision computer Cut from premium 7 year exterior grade vinyl. Delux Lorry Truck HGV steering. Truck/HGV steering wheel cover. Available in 6 different designs and 4 sizes of each design. Stylish Black design. A4 Fresnel Lens PVC. A Hi Vu Fresnel lens press-fits inside the truck’s passenger side window and is held firmly in place by its own ‘peel-back’ self-adhesive. The Fresnel Lens is a clear, thin, flat plastic lens that is press fitted to a truck’s passenger door window. Colours available are silver, black. white, red, and blue matte. 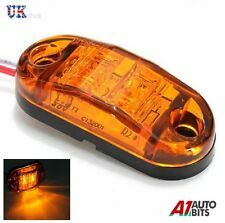 2 x 24V LED REAR LIGHTS. 46 LEDS IN EACH UNIT - 24V. TAIL (12 LED) /. REVERSE (8 LED) /. STOP (12 LED) /. INDICATOR (8 LED) /. FOG (6 LED). MATERIAL BODY: ABS. Scania 10 mil plastic bolt on SUPER Badge. We have over 10 years experience in the vehicle graphics industry specialising in Truck graphics. Easy installation - simply connect it to the cables of the reversing light. Sound level: 102 ± 3 dB. All Ride Windshield Deco with Fringes. With 20 tacks for steady features. United Kingdom. Benedict Court. NEW!! scania G sun visor deflector custom truck lorry light holder fibreglass GRP BANK HOLIDAY BONANZA £80!!!!!! MAN TGX XL/XXL Truck Mats in Black with a black edging around. They are a 3 piece set made from a top quality carpet with a rubber backing which is used in all the car mat production and are tailored to fit this particular vehicle. 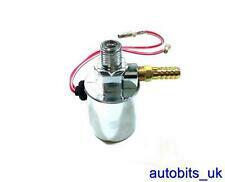 12v 24v Truck Van Universal Chrome Plated Air Horn Electric Solenoid Valve 1/4"
12/24V COMPATIBLE AIR HORN VALVE. Perfect For Air Ride Systems. They are a 3 piece set made from a top quality carpet with a rubber backing which is used in all the car mat production and are tailored to fit this particular vehicle. They have a heel mat fitted to the drivers side to assist in making them last longer. SCANIA R/P/G series after Sep'09. No drilling required. Just remove one hole cover from the dashboard, connect the wires and insert into dashboard. Transforms unused switch hole covers into 2 USB power outlet. General information: Suitable with 9 LED's (5 front 2 2 side). Available colors are: white, blue, amber and green. The bar it self is made from high quality SUS304 grade stainless steel material. AdBlue is a solution of urea in demineralized water. This ensures the highest quality of AdBlue. It is also known as AUS 32 ((NH2)2CO). AdBlue reduces harmful emissions through a chemical reaction. 1 x piece mini scarf with hanger and suction cup. Unit weight: 12 grams. Strong and durable suction cup (sucker) which can be removed if necessary. Flexible plastic hanger which can be removed if necessary. YOU ARE BUYING A PAIR (2 poles) OF 56cm IN LENGTH DECORATIVE TRUCK WINDSCREEN POLES. RED, WHITE, ROYAL BLUE, SKY BLUE, BLACK, PURPLE, BRIGHT GREEN, DARK GREEN, YELLOW, BURGANDY, PINK, ORANGE. ROSEBUD COLOURS AVAILABLE. These decals are designed to go on the outside of the vehicle. Colours available are silver, black. white, red, and blue matte. Truck lorry HGV air dust gun with 5m coil hose. 5mm dia coiled hose & 5m long. Air dust gun kit. DOES NOT FIT Iveco Stralis HI-WAY. Iveco Truck lorry HGV air duster gun quick air line connector 13 bar Lampa 98077. fitted with quick fit connectors. Easy installation - simply connect it to the cables of the reversing light. 1x Reverse Signal Beeper Powerful Backup Alarm. Working tension: 12V. Set of 2 x Rear Tail Lights. - Tail Light. - Stop Light. ALL PARTS TO FIX INCLUDED. Distance between fitting holes: 14.5 cm. - Depth 8 cm. - Width 10.5 cm. - Length 31 cm. Renault Truck lorry HGV. dust gun 'in cab' air connector. Max pressure 13 bar Kg/cm². 2X THE OLD SKOOL LOGODECALS IN MATTE FINISH decals as pictured Colours available are Silver, Black, Gold, White, Red, Yellow, Green or Blue matte. Precision computer Cut from premium 5 year exterior grade vinyl. Top quality lighting from Wipac. Supplied with 24volt 70watt bulbs. 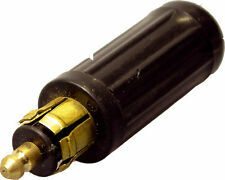 24volt bulbs are supplied with to change over. For truck top (tractor unit) mounting and many other 24 volt applications. Independent Land Rover Specialists. 2X VOLVO HALF LOGO STICKER/DECALIN MATTE FINISH decals as pictured These decals are designed to go on the outside of the vehicle.